Two men walk into a bar and take their seat. The bartender came to took their order, and thus is their order. the second that they do not have his order. 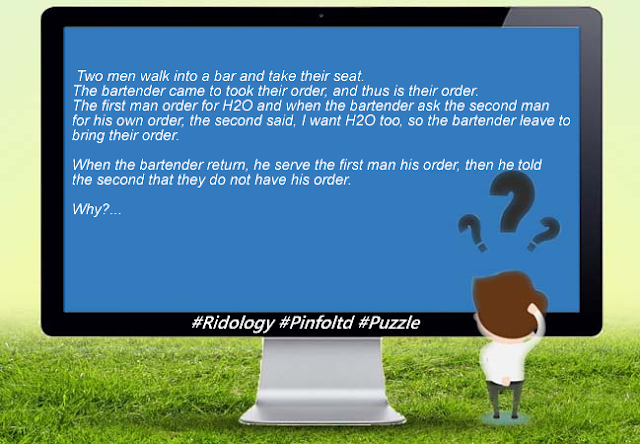 His order was not given him because he did not order of water (H2O) What he ordered for was H2O2 which is the chemical formula for Hydrogen peroxide which is definitely not available in a bar.